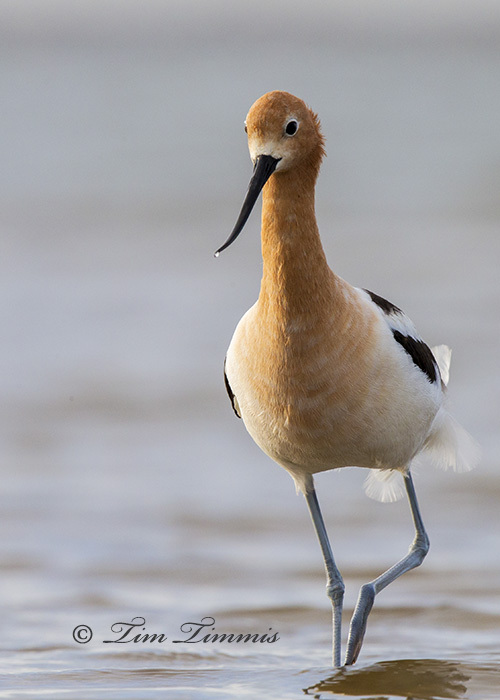 Here are a couple of close-up shots of an American Avocet from Bolivar Flats as he was walking towards me. The darker colors around his head/neck are breeding plumage. Only minor cropping and no sharpening. This entry was posted on June 7, 2014 by Tim Timmis. 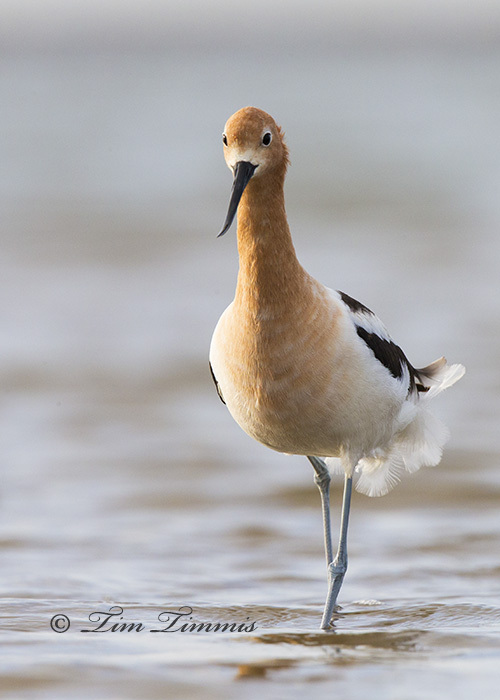 It was filed under Birds and was tagged with avocet, Bolivar Flats, Canon 1.4x III, Canon 1DX, Canon 500mm F4 IS II, Skimmer ground pod, Wimberley II. Thanks Sheldon. It can be difficult to get shots of Avocets by themselves away from the flock so I was thrilled when two of them came towards me. Thanks David. I keep hoping for more low tide at sunrise to get back out there. Love the full frame captures. Both nice captures, but second one has the drop of water going for it. Thanks Doug. I love it when birds cooperate up close. Makes losing the crop sensor less of an issue.